The idea of how to homeschool college has become more and more popular as more colleges are allowing students to take courses from home. 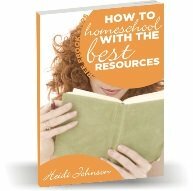 You can find some homeschool friendly colleges here if you want a list of some that I know of. Some students will want to take advantage of this program while still in High School and some will want to wait until after they graduate. There are so many new options out there now for your child to use for college. Here is one of my favorites - College Plus. You can receive a free ebook there about combining high school and college, along with videos and access to audio sessions recorded from live events. 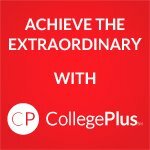 Plus, when you mention this site you get a $50 discount on CollegePlus and a $35 discount on CollegePrep! 1. Your child can use CLEP and DANTES tests while they are still in High School and possibly complete their college degree right along with their High School studies for under $15,000! What a great tool for how to homeschool college. 2. You don't have to figure all this out on your own. College Plus is basically a coaching program that helps your child achieve their goals. A person is assigned to your child and calls them on a regular basis. 3. College Plus helps your child become prepared for college studies and works them through what major would be best for them. Students don't have to do the full program in 2 years. They can even start it after they graduate from High School. Who knows, a parent might even be able to get their college degree right along with their child with College Plus if they don't have one already! Students can even take a year or 2 of college credit with CollegePlus and then go on to an on-site campus if they like. There are many options and the best part is that students are walked through the whole process. They are given the tools to help them learn how to study, counseled in the best major for them, and kept accountable on the classes they need to be taking. You can get more information and a free ebook, video and audio information by filling out the form at College Plus. Be sure to mention this website and they will give you an additional $50 discount for CollegePlus or a $35 discount for CollegePrep. It's well worth your time to look into this program. Who wants the stress of having $100,000 loans hanging over their head for years to come?